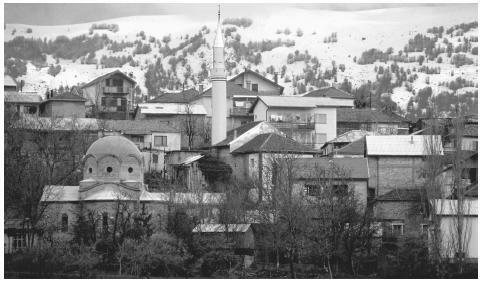 A minaret overlooks a Macedonian town. Thirty percent of Macedonia's population is Muslim. 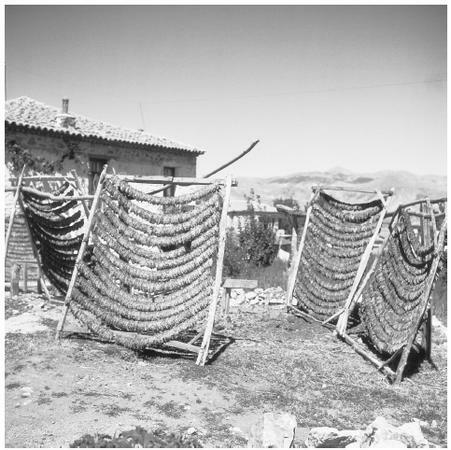 Drying tobacco in a Macedonian village. Although the nation is now industrialized, tobacco continues to be a major cash crop in Macedonia. spaces. In urban areas, sleeping and playing arrangements depend on the space available. Traditional dress follows ethnic lines but, due to increasing modernization, it has become less common in recent years. May, Saint Elijah's Day on 2 August, Macedonian Independence Day on 8 September, and the Day of the Uprising of the Macedonian People on 11 October to commemorate World War II. Arbatski, Yuriy. Beathing the Tapan , 1953. Barker, Elizabeth. Macedonia: Its Place in Balkan Power Politics ,1950. Borden, Anthony, and Ibrahim Mehmeti, eds. Reporting Macedonia: The New Accommodation , 1998. Brailsford, H. N. Macedonia: Its Races and Their Future , 1906. Brown, Keith S. "Of Meanings and Memories: The National Imagination in Macedonia." Ph.D. dissertation, University of Chicago, Chicago, 1995. Byrnes, R. F. ed. Communal Families in the Balkans: The Zadruga , 1976. Chashule, Vangja ed. From Recognition to Repudiation: Bulgarian Attitudes on the Macedonian Question , 1972. Danforth, Loring. The Macedonian Conflict: Ethnic Nationalism in a Transnational World , 1995. Ford, George H. "Networks, Ritual, and 'Vrski': A Study of Urban Adjustment in Macedonia." Ph.D. dissertation, Arizona State University, Tempe, 1982. ——. "The Sociolinguistics of Literary Macedonian." International Journal of the Sociology of Language 52: 31–57, 1985. Hall, Jonathan M. Ethnic Identity in Greek Antiquity , 1997. Ilievski, Petar. "The Position of the Ancient Macedonian Language and the Modern Name Makedonski ." Balkanistika 10: 227–240, 1997. Kramer, Christina. Macedonian: A Course for Beginning and Intermediate Students , 1999. Lazarov, Risto. This Is the Republic of Macedonia , 1993. Liebman, Robert. "Wedding Customs in the Ohrid Village of Peshtani." Makedonski Folklor 9–10: 125–240. Lunt, Horace. 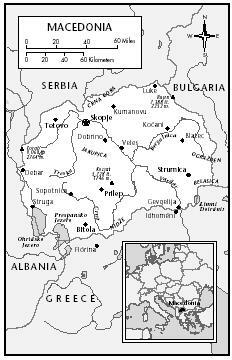 "Some Socio-Linguistic Aspects of Macedonian and Bulgarian." In: B. Stolz, I. Titunik, and L. Dolezel, eds., Language and Literary Theory , 1984. ——. "On Macedonian Nationality." Slavic Review 45:729–734, 1986. Miloslavlevski, Slavko. Fakti za Makedonija , 1996. Perry, Duncan M. The Politics of Terror: The Macedonian Revolutionary Movements 1893–1903 , 1988. Poulton, Hugh. Who Are the Macedonians? , 1995. Radin, A. Michael. IMRO and the Macedonian Question , 1993. Rossos, Andrew. "The British Foreign Office and Macedonian National Identity 1918–41." Slavic Review 53: 369–394, 1994. ——. "Incompatible Allies: Greek Communism and Macedonian Nationalism in the Civil War in Greece,1943–49." Journal of Modern History 69: 42–76, 1997. Roudometoff, Victor, ed. The Macedonian Question: Culture, Historiography, Politics , 1999. Rubin, Barnett, ed. Toward Comprehensive Peace in Southeastern Europe: Conflict Prevention in the South Balkans , 1996. Sachs, Nahoma. "Music and Meaning: Musical Symbolism in a Macedonian Village." Ph.D. dissertation, University of Indiana, Bloomington, 1975. Stardelov, Georgi, Cvetan Grozdanov, and Blazhe Ristevski, eds. Macedonia and Its Relations with Greece , 1993. Statistical Office of Macedonia. The 1994 Census of Population, Households, Dwellings and Agricultural Holdings in the Republic of Macedonia, 1996–1997. Tomovski, Krum, Galaba Palikrusheva, and Angelina Krsteva, eds. 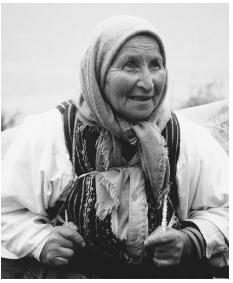 Ethnology of the Macedonians , 1996. Wilkinson, H. R. Maps and Politics: A Review of the Ethnographic Cartography of Macedonia , 1951. It is a very good and useful piece of information. I thank these people very much. It helped me with my project!!! !........................................................................................I was very good information. You provide really good and complete piece of information at this site. Modern Macedonian culture is unknown to the majority of other nations, so it is always helpful to read sites like that. All good, except the line were Ancient Macedonians were considered non-Greeks. I understand that there is a conflict being on, on that issue (political and scientifical), but since there are many scientists that believe the exact opposite - that ancient Macedonians were Greek - I think that an objective informative site, should avoid this kind of statements, until a final decision is made in the scientifical world. Thank you. It helped me alot with my project! and just for info to Mr. Robert ancient Macedonians were NOT Greeks!!!!!! If you look at a map of Macedonia during the time of Alexander the Great you will see that Greece was actually a part of Macedonia, not the other way around. No devision needs to be made in the scientific world to conclude that. interesting people and seems like they are well brought up. god bless! Thank you very much! The info is great. And yes - Macedonians were not Greeks. People should not believe everything they see on TV. Thanks again ! It is very good. It contains info that is not provided in other sites. Congratulations. I think the same as Mr. Robert, no statement should be made until a final desicion is taken. Informative article to say the least however, Macedonians are known as Macedonians and nothing else. As indicated above "Slavo-Macedonian, Skopia" are not alternative names but considered slang and prejudice terms. The section is not accurate and so please remove as soon as possible. Thanks. I have been to Macedonia, the first day I went there was 55 degrees! And cooled down during the night. It is a beautiful country the water is fresh everything is fresh. It is all green with Mountains. There is a Mountian and it starts with P. It is al least an hour or half an hour away from Manastir (Bitola). I just thought I would tell you about Macedonia so you know what it is like. All green, hot, beautiful and everything fresh! The Macedonian Airport has a staute of Alexander The Great but only his head. The Airport is in between Macedonia and Greece. It is about 4 or 3 and a half hours to get to Macedonia from the Airport. And I am 12 years old and travelling Macedonia was the best vacation i've ever been to. I am just telling you about Macedonia so you would know. Dont trust anything they say on TV it is not true. I am telling the truth, I have been and I didnt want to come back to Australia. this was a gooD WEBSITE! thank you! i am going to use this website a lot! This piece REALLy helped me with my social studies project!! :D i really thank u guys for making it, or else i wouldnt know what 2 do!! I want to remind to a last results of DNA results from Balkan area worked on these project with Swiss Igenea institute and two more Genetic institute from different country. Please you must see these great results. DNA is last word with no discussion. Sofi the country (Greece) did not exist in the time of Alexander the great, so you are misled, also i have seen that very map the non edited version is clear ... Macedonia was never part of any greek cities, why would Alexander conquer Sparta ,Thebes if he was Greek? O.M.G This really helped me with my project! THANK U! U made my life easier! this helped me with my project so much thank you.. I have been trying to understand my heritage., I am half Macedonian, and half English. I love every thing Macedonian. This helped me, with my heritage and my school work. thank you for the inter formation.i think this was the best inter formation I had ever read. Any one know or related to Traicoff’s in Macedonia?